Student Government Association covered many topics during Tuesdays meeting, so here are the highlights from the week. First, Senate voted on allocating BUC Fund money across campus to groups, including Slocumb Galleries, the Strategic Media club, SAGA, the Creative Writing Society and multiple fraternities and sororities. BUC Fund has about $10,000 left for the year. There is one more BUC Fund meeting in April, and group applications for it are due March 27. This meeting includes events from July 1 to Sept. 15 that would require funding from the 2018-2019 budget. Next, a few members of the committee who confirm SGA candidates were introduced. This committee is made of juniors and seniors who represent various campus organizations. Applications for SGA elections are due my midnight on March 4. SGA then read through the semester’s first proposed piece of legislation. SSR-18-001 calls for the Department of Housing and Residence life to inspect Powell Hall, a residence building on campus. The legislation states that several reports of HVAC issues have been made in the past three years. It calls for an inspection of the building or for the building to remain empty until the issues are fixed. 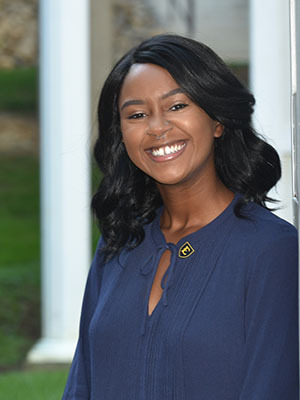 SGA President Keyana Miller encouraged Senate members to continue writing legislation this semester. After spring break, ID Services will be moved to the CPA. This is the first move occurring in preparation for the Culp Center renovation. Open Educational Resources Week will take place after spring break. This is a time to make students aware of the Open Textbook Network system that ETSU recently became a part of for students’ convenience. Faculty/Staff Appreciation Week is April 9-13. This is one of ETSU’s major events for the year to celebrate those working here at ETSU. Remember, SGA meetings are open to the public and offer an open forum time for presentations from non-SGA members. Meetings are held in the Forum of the D.P. Culp University Center at 4 p.m. on Tuesdays. Next post If all lives matter, where's the extra school security for black children?